There are many light installations around the metro that are definitely a feast for the eyes. Bringing out the festive mood anywhere we go, holiday light installations provide a cool backdrop for double tap-worthy OOTDs. But getting that shot can be tricky, especially since the light can leave you looking like a blurry or dark silhouette. To help you snap the perfect shot, we've asked three professional photographers to share their secrets on how to shoot against bright backgrounds. Here are tips you can easily follow! Ryan Ong says to keep all your sources of light in mind. When posing in front of Christmas lights, you'll need ambient or surrounding light, like street lamps or car lights, to keep you in focus. "If the surrounding sources of light are inadequate, other than bringing professional lights or external flash, you can bring improvised lighting like a small continuous LED light," he shares. "Or the simple, steady flashlight from your mobile phone will do." He also breaks down simple camera settings you can use. "Twenty to thirty seconds for the shutter is okay for landscapes, as they won't move. But if you have a model, a five to 10-second shutter is okay. Then just increase the ISO to brighten up the photo." "Here, the shutter was around 1/125-1/200 because she was walking so I set it higher to avoid blur, and then I adjusted the ISO up to around 3200," Ryan explains. Andrea shares a basic OOTD tip that works all the time. "Always take [the photo] from slightly center with the phone or camera pointing upwards. This makes you look longer and isn't too low of an angle that it isn't flattering for the face anymore." She goes on to say, "Play with reflections! Explore different angles with mirrors. They make a case for interesting shots. Interact with your reflection, experiment with the composition." 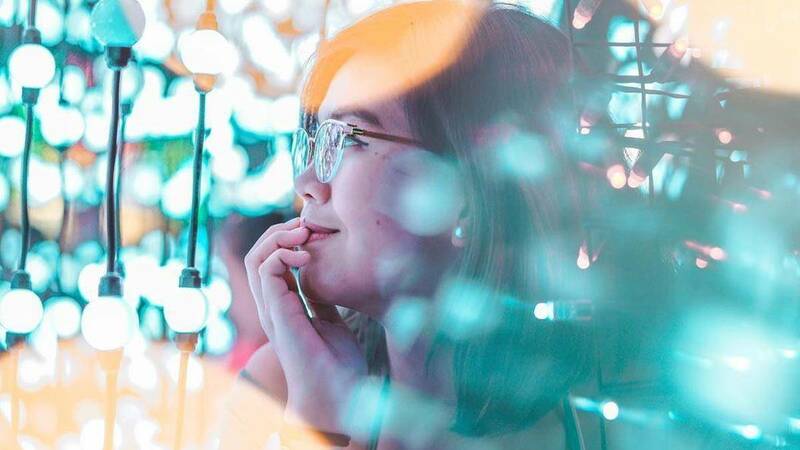 Karlo Torio agrees, and shares his advice: "Add some details to your picture by filling empty spaces with bokeh effect using a 50mm lens with 1.8 aperture." He also reminds us to "pose a few meters away from the Christmas tree so the lighting won't be harsh, and then point your body towards the light to show the curves of your outfit so the photo won't look flat." "Never over saturate your photo. I would highly recommend to desaturate the colors a bit, sharpen the details, add a small amount of clarity and choose a filter that matches the mood," Karlo says. If you're a Snapseed user, Ryan notes to tinker with "just the basic brightness and ambient exposure settings, and add a little drama using the contrast tool."